Off The Tracks with Marco Shuttle: On Terje Rypdal’s jazz classic „Odyssey"
Off The Tracks intends to change roles offering a weekly contribution narrated by various artists in- and outside the electronic music scene. Up next is the Berlin-based producer Marco Shuttle. Having just released his new album Systhema on Spazio Disponibile, the Eerie Records label founder shares his enthusiasm about his all time favorite albums from the catalogue of renowned ECM Records: Odyssey by Norwegian guitarist and composer Terje Rypdal. If there is a label out there that stands for crystal clear uncompromising quality and that more than any other pushed the boundaries of modern Experimental Jazz and Western contemporary classical music, it is ECM Records. 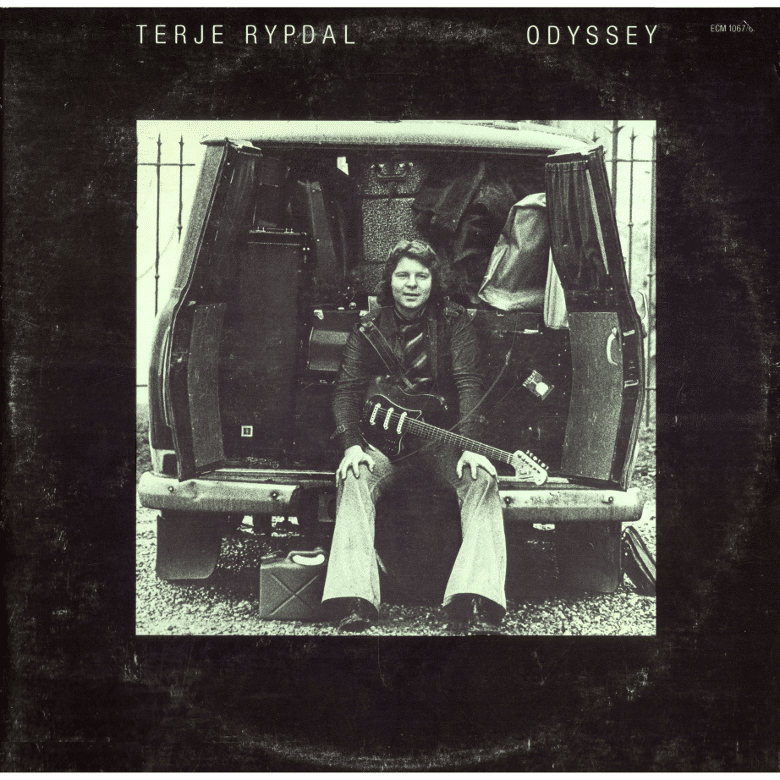 And if there is one record of the many incredible ones that have been released by this amazing imprint, one that changed my perspective on Jazz and – I would say – on music in general, it is Odyssey by Terje Rypdal, which, without exaggerating, I consider one of my all time favorite (if not my absolute favorite ever in some ways). ECM needs no introduction to those that have some even basic knowledge of a certain type of Jazz. It was founded by Manfred Eicher in Munich in 1969 and has since amassed an astonishing discography of releases by the likes of Keith Jarrett, Pat Metheny, Jan Garbarek, Codona, L. Shankar, Naná Vasconcelos, Ralph Towner and of course Terje Rypdal just to name some. While ECM is best known for Jazz music, the label has released a variety of recordings, and ECM’s artists often refuse to acknowledge boundaries between genres. ECM’s motto is “the most beautiful sound next to silence”, according to a 1971 review of ECM releases in CODA, a Canadian jazz magazine. This refusal of genre boundaries applies indeed to Odyssey, the fifth album by Norwegian jazz guitarist Terje Rypdal and his band, recorded in 1975 and released in the same year, resulting in a monumental double album that combines crushingly powerful rock/jazz/prog with long, brooding electric excursions. Imagine Miles Davis, David Gilmour and Vangelis in one band. There we go, Terje Rypdal’s Odyssey is the result. Despite the dense orchestral richness of the sound and the coexistence of so many different elements, Odyssey manages to be a very calming, mesmerizing listening experience of instrumental (almost) ambient music.